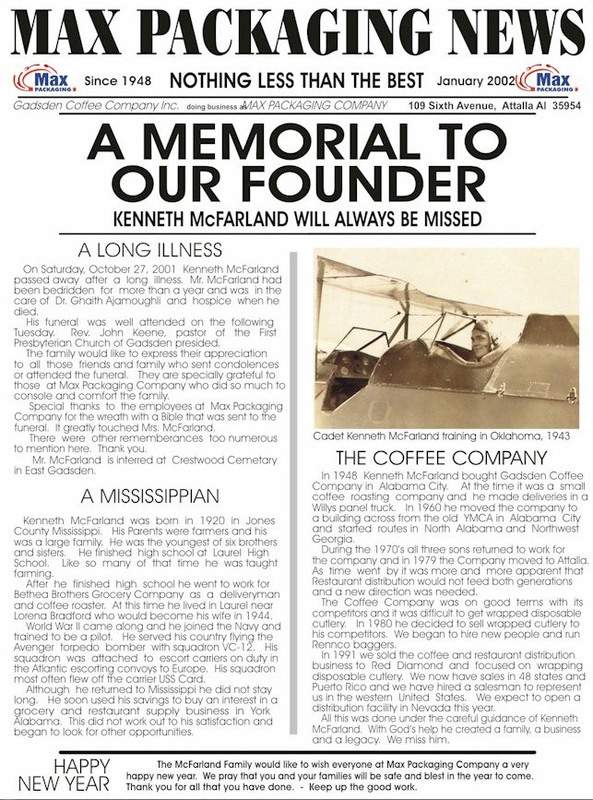 In 1948, Kenneth McFarland founded Gadsden Coffee Company, Inc. as a food service distributor. After years of experience, in 1980, Mr. McFarland with his three sons, saw a greater need for a quality custom packaging company. This idea has led to Max Packaging Company today. Since that time, Gadsden Coffee Company, Inc. dba/Max Packaging Company, has evolved from a distribution company solely to custom packaging. Max Packaging Company's experience has been and is being used to provide the kind of service that makes a difference to the distributor, salesman and end user. Max Packaging Company is devoted to quality, service and versatile custom packaging. 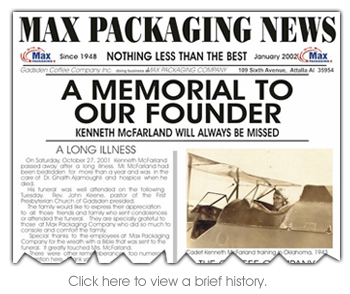 Max Packaging Company's reason for existence is rooted in the food service industry's need for a dependable, disposable packaging service.